These fast-paced mysteries feature Benjamin Bradshaw, Professor of Electrical Engineering at the University of Washington. 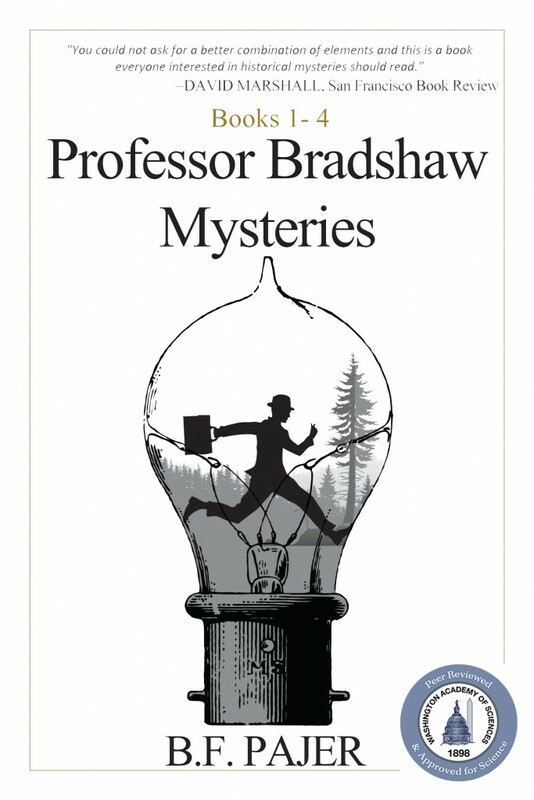 Bradshaw’s electrical forensic and investigative skills, combined with a keen understanding of human nature, bring the Seattle Police, and murder, often to his doorstep during the social and scientific turmoil of the early twentieth century. 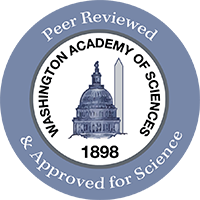 All four books in the series thus far have earned the Washington Academy of Sciences Seal-of-Approval for Science. 1901 Seattle, a puzzling electrocution points to murder. University of Washington Professor Benjamin Bradshaw is the chief suspect. To protect himself, and his son, Bradshaw hunts for the true killer. Death lurks everywhere—disguised as accidents. Before it’s too late, will he discover the circuit path that led to a spark of death. The race to win an electrical competition sparks Professor Bradshaw’s obsession for invention in this sequel to A SPARK OF DEATH, but the search for a child who may have witnessed a murder forces him to transform his contest entry into a trap to catch a killer. Healing Sands Sanitarium, northwest of Hoquiam, Washington, sits on the sandy doorstep of the Pacific Ocean. Famed for its restorative rest-cure, fermented diets, and Dr. Hornsby’s electrotherapeutics, no one has ever died at Healing Sands. Until now. When Professor Bradshaw is summoned to investigate, he knows this was no accident, but his only clue to foul play is as insubstantial as smoke—to anyone other than an electrical engineer. Suspects are limited to a handful whose lives—and lies—must be exhumed and examined. A sinister tale emerges as deep undercurrents turn personal, provoking Bradshaw to make a decision about the woman he loves. And then an everyday object provides the key, alerting Bradshaw that one among them is a walking dead man, and another possesses the capacity for murder. When Thomas Alva Edison asks for information, most feel compelled to give it. Not UW Professor Benjamin Bradshaw. Not when the question concerns a device conceived in anger and harnessed for murder. Bradshaw hopes that mysterious invention remains lost in Elliott Bay, eluding the search of deep-sea divers. But when on a cold December morning in 1903 an electrician is found dead in the Men’s Wear window of Seattle’s Bon Marché clutching a festoon of Edison’s holiday lights, Bradshaw suspects a dangerous game has been set in motion. Greed, passion, silence? Motives multiply as the dead man’s secrets come to light. Bradshaw and his investigative partner Henry Pratt join Seattle Police Detective O’Brien to narrow suspects, but Bradshaw’s intuition fails him. His heart is elsewhere, his attention distracted by the dilemma of loving a woman he cannot marry without defying his faith. With Christmas fast approaching, the pressure mounts, as does Bradshaw’s dread that this will be his first unsolved case. With no other option, he does the unthinkable, and prepares to face his greatest fears. Whatever the outcome, there will be no going back.